The Philippines is seeking to indirectly link its territorial problems with Japanese normalization. On Tuesday, Philippine President Benigno Aquino made several provocative comments that will have regional neighbors cheering and jeering in turn. 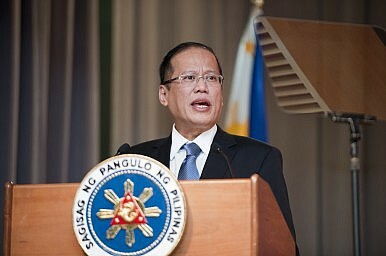 While speaking at the presidential palace in the capital of Manila to Japanese reporters, Aquino outlined his desire to work more closely with Japan on matters of security, shortly before accusing China of complicating an already delicate situation in the South China Sea. While he gave the appearance that the two issues were separate, by including them in the same set of remarks, and particularly before a Japanese audience, Aquino demonstrated a desire to conflate them without directly trying to provoke confrontation. The Japanese government will be pleased with both sides of these remarks. Japan has sought to strengthen its ties with Australia as well, and a growing relationship with the Philippines is a natural outgrowth of Abe’s regional security strategy. The challenge to China in the South China Sea is also something that Abe has sought to support, particularly when he spoke at the Shangri-La Dialogue in May. Finding partners to challenge China in East Asia is a core tenet of both Japanese and U.S. strategy. As a result, Aquino’s comments can be expected to receive both rhetorical and substantive support from his two biggest allies. Abe’s potential constitutional revision is likely to be underwhelming for the JSDF.